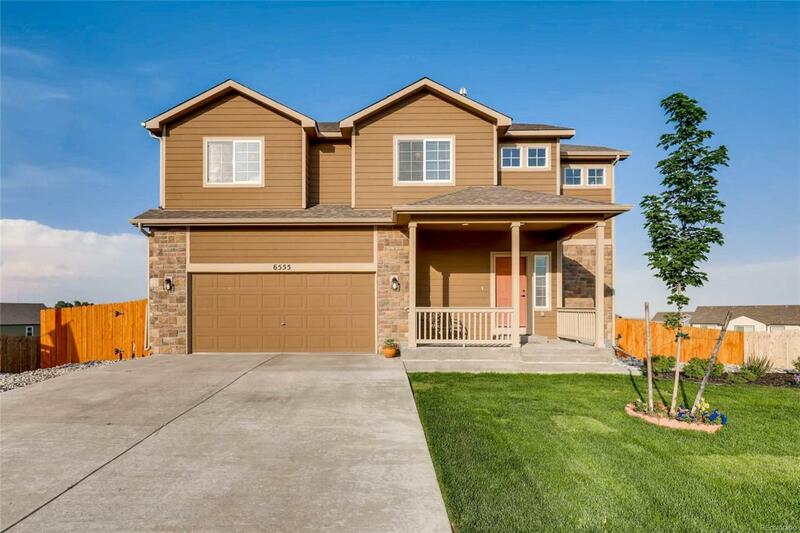 Fantastic 4 Bed, 3 Bath, Tandem 3 car garage with open views from the back of the house. Located on private Cul-de-Sac location on one of the largest lots (12,492 square feet) Walk out unfinished basement, Open concept living, dining and kitchen with island perfect for a couple bar stools. Nice kitchen walkout dining room to nice deck to enjoy fully fenced large yard. Cinnamon maple stained cabinets throughout the home. Large master bathroom suite upstairs with 5-piece bath, soaking tub and large walk-in closet with built in wardrobe shelves and hanging racks, Upper level laundry with folding table. Remaining three bedrooms upstairs share full bath with dual sink vanity. Garage large enough for three cars plus storage (attached tandem) Ceiling fans (living and master bedroom) Central air conditioning, Automatic sprinkler system, Large unfinished walk out basement with rough-in bath and egress windows. Walk out back to huge back yard with no rear neighbors directly behind you. Offered by Pulse Real Estate Group Llc.